Today was really fun. This morning we learned how to make coils, wrapped coils, loops, beehives, and pigtails when plying yarn, and how to add beads to them. 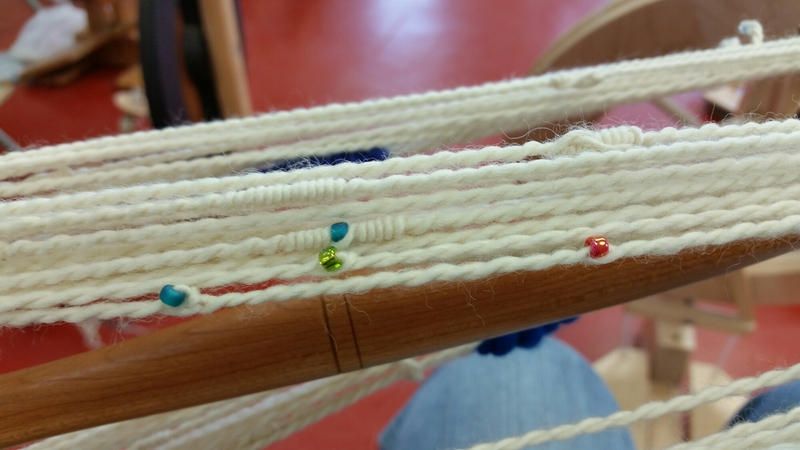 We learned Navajo plying, which is a way to do 3-ply yarn off of a single bobbin of spun fiber. And how to add beads to that. 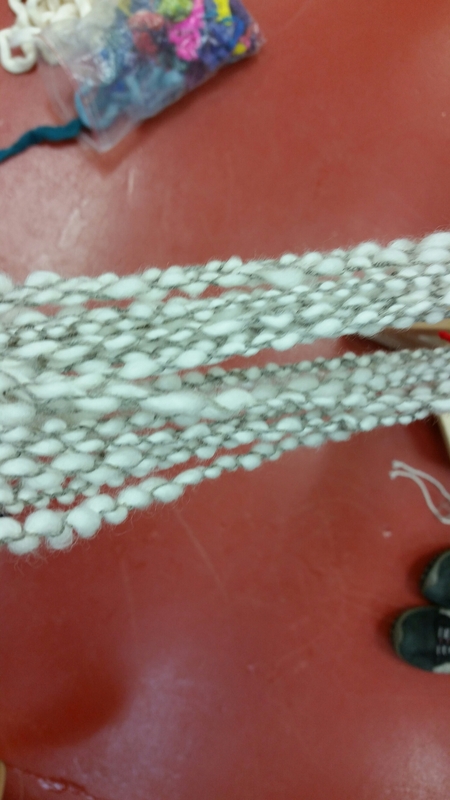 Last but not least, we made Bubble crepe yarn. That was a very good learning experience about diameter and twist, but A LOT of work. This evening “after hours,” Sarah, the instructor, showed me a very useful tip that will help me spin my hankies more easily. I’m really tired tonight, so that’s it for now. Until tomorrow. 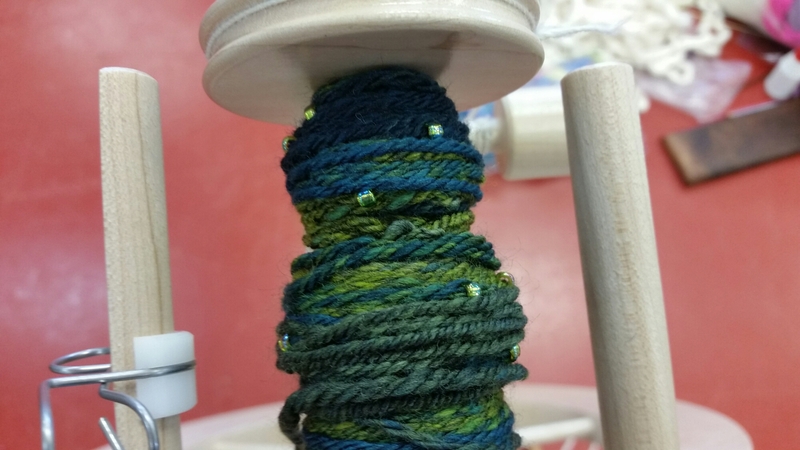 This entry was posted in Art, Fiber and tagged beginnings, creativity, Honesty, Spinning. Bookmark the permalink.